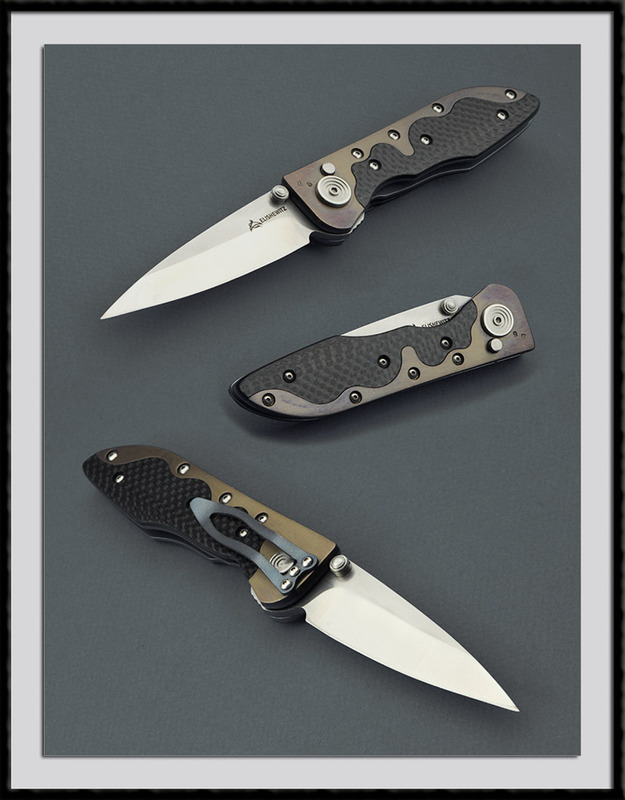 Allen Elishewitz crafted this Tactical auto folder, #45, BL = 3 1/2", OAL = 8", S30V blade steel, Ti liners with Ti scales and Carbon Fiber inserts with a button release. Action is smooth, firm and consistent. A few light handling marks otherwise Condition is Mint.